One of my favorite pitchers to watch as a kid. Splitt pitched 15 seasons, all for KC and won 166 games for the Royals. After his playing career ended, he went into broadcasting starting at the high school level and eventually working his way into the Royals booth, both for radio and TV. 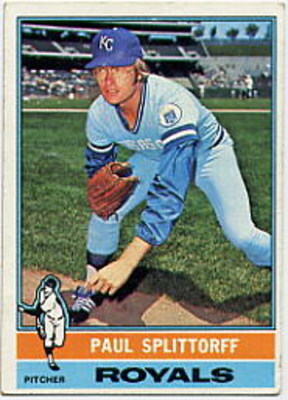 Splitt was also inducted into the Royals Hall of Fame in 1987 as a part of the second induction class. KC fans will miss you Splitt!